Xbox gaming has come a long way since its inception over a decade ago. What was once simply a bulky gaming console has transformed into legitimate entertainment hub for the home, thanks to the latest Metro-friendly update to the Xbox 360. 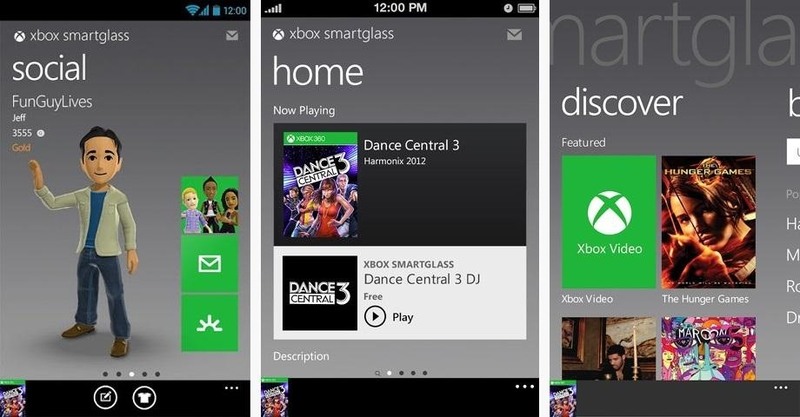 Now there's newly-designed Music and Video apps, Internet Explorer, and best of all—Xbox SmartGlass. SmartGlass is an easy way to control Xbox LIVE through your smartphone or tablet, whether it's a Surface, iPhone, or Android device. All you need to do is make sure you have the SmartGlass app on your device and bam—you've got a sweet, interactive touchscreen controller. To see just what you can do with SmartGlass, check out Microsoft's video guide below. You can navigate your dashboard, type in text, browse IE, and have maximum fun with exclusive complimentary content from apps like HBO, ESPN, and NBC News. You can also use it as a Netflix remote, though you can't yet use the keyboard to search for specific titles. To get SmartGlass for your iPad, iPhone, or iPod touch, download it for free in the iTunes App Store for iOS 5 and later. It replaces the old My Xbox LIVE app, but it's not optimized for the iPhone 5 yet. Android users, you can download it for your smartphone or tablet in the Google Play Store, for Android 4.0 and later. Windows Phone or Surface users can find it in the new Windows Store on their devices. To set it in action on the Windows Phone 7, check out the video below. Have you been using SmartGlass? Did you use it during the Elections on November 6th? How do you like it? My son-in-law gave me his old Xbox 360 but the controllers don't work I have been using SmartGlass on my cell phone but for some reason it won't connect and let me control the Xbox . He said I have to use his email and password to re-download it but I don't know his email or password . Is there any other way that I can use SmartGlass on my cell phone to control the Xbox 360 ? ?